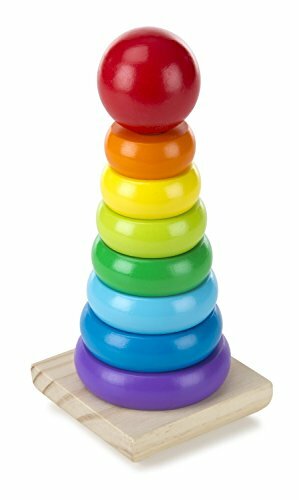 I love wooden toys, mainly because they are beautiful. I have a very loose rule about only keeping beautiful (read: wooden) toys in our main living area. That way when they're strewn all over the floor all day, every day, at least they are beautiful? 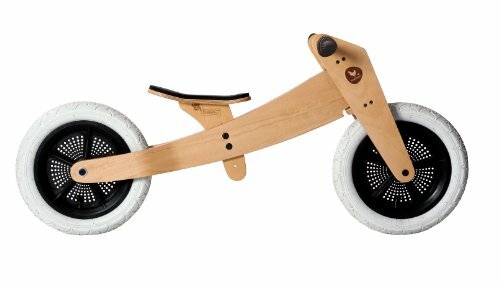 If you're looking for a less superficial reason to go with wooden toys, I love that they are more biodegradable and environmentally friendly. Unfortunately, not every wooden toy our kids have gotten has been a hit (does ANYONE's kid actually play with that wooden xylophone?) 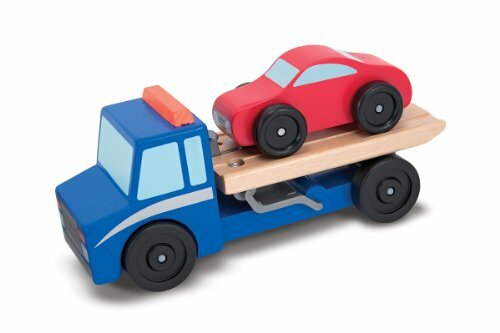 Despite the flops we have found some wooden toys that our kids really love. 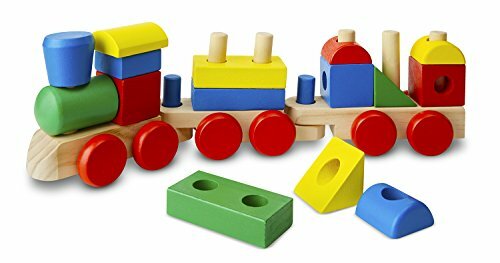 For reference, my boys are ages 3 1/2 and 1 1/2 and although there are a few other wooden toys they play with periodically these are the ones that are out on my living room floor almost every day. My baby loves playing with both the truck and the car on it's own. I don't think this picture does it justice- it's adorable in real life. By this point you've probably guessed that I have two little boys, no girls. 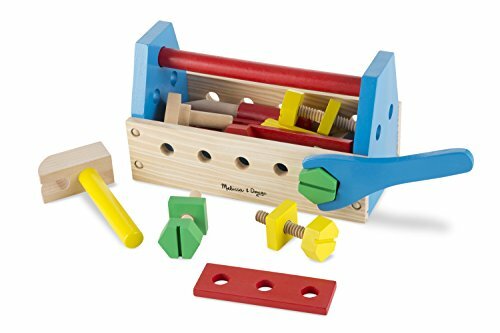 However, if I was a little girl and I was gifted with this adorable wooden tool kit, I would probably have been a lot more interested in the way things worked. Maybe I'd be an engineer, instead of a writer (?...maybe...). So, when you give your daughter this and she gets a STEM scholarship in twelve years, remember me. About half of these great wooden toys have been gifted to us by my lovely sister-in-law, this one included. This toy is a classic for a reason, and it's been especially fun for my baby. So if you have any giftee's in the one-year-old range, this toy comes highly recommended by my own favorite one-year-old. I think we have six chunky wooden puzzles. Six is definitely overkill. You don't need that many. But get one or two! My kids like putting the puzzle piece in the matching spot, but they also really like playing with these chunky wooden figures. 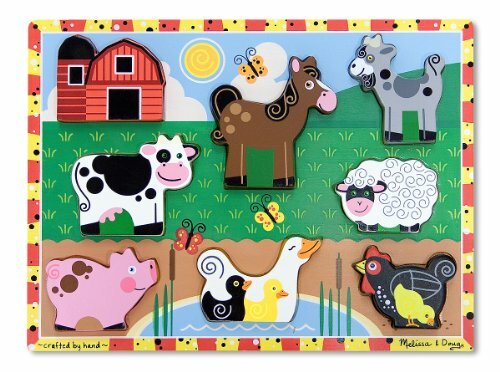 The farm and dinosaur puzzles are a favorite in our house. My mother-in-law started getting my son pieces to his train set when he was around one, and gets him a piece or two every birthday or Christmas. In my opinion that is a really good gifting strategy. At this point we have a pretty solid train collection. We have pieces from all different brands, but something I like about train sets is that despite the brand differences, the train tracks all fit together. 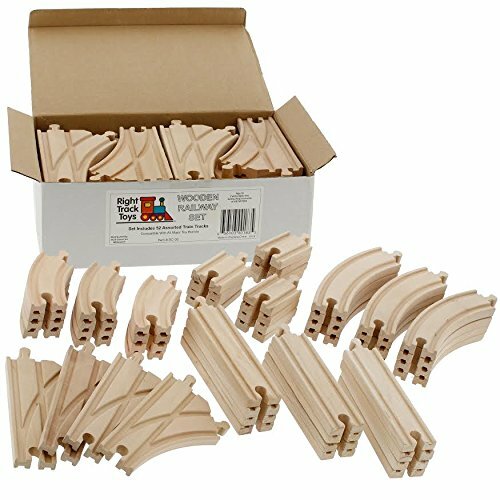 We have cheaper basic tracks and more expensive fun pieces, like a train station by Brio and fancy bridges. Both of my boys really love these, and honestly, the more pieces we've gotten, the more fun it's become for me. I'm always trying to use every single piece and it becomes a giant open-ended puzzle, which I love. Just in case one train and one stacking toy isn't enough. I know you have some wooden toy recommendations for me! I'd also love to hear about your flops. I actually really like talking about flops, but I don't always want to post about them on here because I don't want to be overly critical. But flops! Tell me about those too so I can stay away! Something missing from this list is BLOCKS. We have a set of blocks that are beautiful and painted and slippery so my kids don't play with them a ton. We've been talking about buying a set for our youngest for Christmas, so if you have recommendations, hit me with them.